Daniel Rodriguez tells his compelling story of triumph over drugs and alcohol, with humor & wit and yes, some stirring music. A deeply moving story from down & out in Brooklyn to inspiring the nation post 9/11, when he sang in his police uniform and gave hope & strength to people all around the world. But before he could help others he had to heal himself. Rodriguez tells his inspiring story. Daniel Rodriguez is best known to the American Public as, “the voice that healed a nation,” the 9/11 Singing Policeman. But that is just a small part of Daniel’s story, and one that doesn’t come near his triumph over addiction. Born to Puerto Rican Immigrant parents in Brooklyn, Daniel was able to escape the bullying of the New York Public School system, when he was “discovered” by his first vocal mentor Elliott Dorfman. Introduced into the world of Theater & Music, Daniel found escape and a world class singing voice. His debut at Carnegie Hall at a mere 17 years old seemed to hint at a marvelous future & one in stark contrast to a family life marked by alcoholism and chaos. However, this came to a complete halt when he “accidentally” started a family with his high school sweetheart a year later. He was unceremoniously dropped by his mentor & thrust now into a new reality of menial jobs to support his new family. Depression & shame replaced Theater & Music and Daniel fell into a cycle of substance abuse that almost took his life. Daniel was around 20 years old when he started going out drinking after work. It made him feel good. He would often sing for the patrons of the bars he frequented. The pain of low paying jobs, an unhappy home – life & no place other than bars, at 3 in the morning, to sing – quickly turned social drinking into substance abuse. Substance abuse rapidly descended into full-blown alcoholism and narcotic abuse around age 25. It was after a 3 day bender, that left his family fearing they’d lost him completely, that Daniel caught his face in mirror and saw a “dead man.” A profoundly sober moment in the midst of an altered state. This prompted a call to his Mom who encouraged him to come home – high or not. He went home and with the help of his family entered into rehab & a local AA program. After an excruciating detox the work on his emotional recovery began with the help of AA, He then entered the NYPD and encountered a second big obstacle – the 9/11 tragedy that took the lives of many of his comrades. Fighting through traffic that morning to get to the World Trade Center site, he took a left turn, rather than a right turn to ground zero. Unknowningly, that ironically saved his life. He averted a falling building but was on site for hours as the tragedy unfolded. Like many others, he still suffers from the fallout of that day, both medically and emotionally. He was one of the lucky ones and that spirit comes through in his story. Daniel Rodriguez tells his compelling story of triumph over drugs and alcohol, with humor & wit and yes, some stirring music. A deeply moving story from down & out in Brooklyn to inspiring the nation post 9/11, when he sang in his police uniform and gave hope & strength to people all around the world. The now-established recording artist has ten CDs to his credit list. After 9/11, then-New York Mayor Rudolph Giuliani, helped set up an audition with Placido Domingo. Daniel studied with Maestro Domingo and the staff at the Young Artist Program in Washington for a year and half. Daniel’s operatic debut took place in June of 2006, where he sang the role of Canio in Pagliacci with the Chelsea Opera Company in New York City. In 2007, Daniel was named for “Best Performance by a Leading Male” for the 2006-2007 season, by OperaOnline for his portrayal of Canio with Granite State Opera. He performed at the Republican National Convention and President Bush’s “Celebration of Freedom” Inauguration concert, and on television’s “The Late Show with David Letterman,” “Larry King Live,” “Live with Regis and Kelly,” “The Tonight Show” and “Oprah,” among many other high profile events. 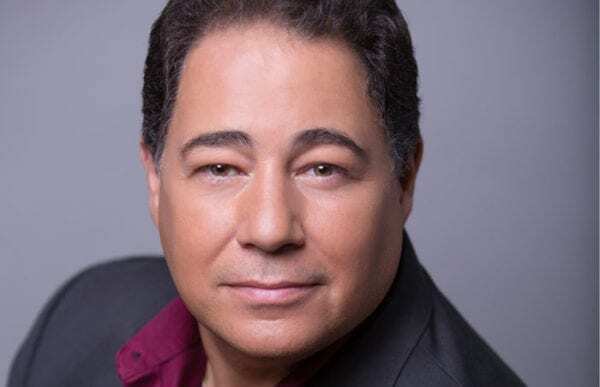 In 2011, he performed as part of The New York Tenors in a series of concerts, and the following year sang the National Anthem for a September 11 memorial service at Pearl Harbor. “Daniel has an extraordinary talent for connecting to people on a deep, personal level. He is seen as a spokesperson and symbol of light in the darkness of 9/11”. You were absolutely amazing! I want to thank you for sharing your story with us. Everyone in the room truly felt the emotion behind your inspiring story and your beautiful voice. Daniel was the perfect keynote speaker for our fundraising luncheon. His presentation was patriotic, uplifting, and heart touching. It was an incredible celebration of the resiliency of those in recovery from addiction. His surprise ending deserved the standing ovation he received.